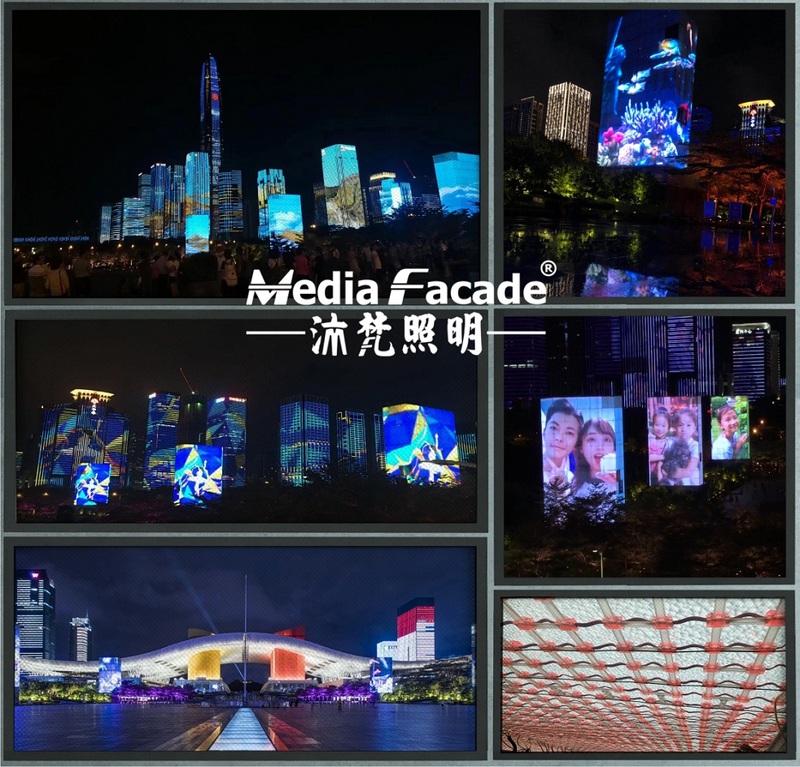 For celebrate China Reform and Opening 40th anniversary, The Shenzhen Government make MEDIA FACADE in the city center . Media Facade Ltd provide the 800,000 pixels C1- Plus which cover the whole Civic Center Square. The media screen synchronized which total 40 buildings and all lights, music, laser & interactive sensor, it create a fantasy night show for the people.